At what age should I bring my child to the orthodontist? This is a common question that most parents have. 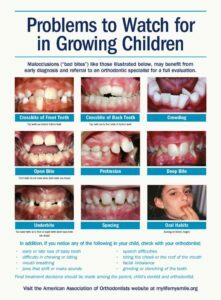 At what age should I take my child for the first time to see an orthodontist. Dr. Cooper likes to begin seeing patients around age 7. The sequence in which baby teeth are lost is very important. Also, how the jaw grows is a factor as well that determines if treatment is needed at an early age. 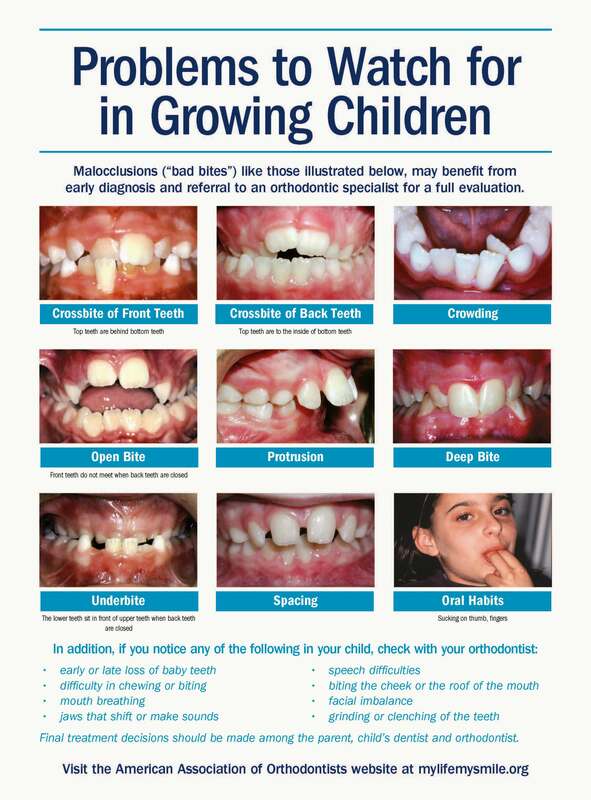 At age 7, your child may not be ready for treatment and if that’s the case, they can be placed on a free recall system where we check them every 6 months where we monitor tooth loss and jaw growth. If treatment is necessary now, then Dr. Cooper can discuss with you the prescribed treatment recommendations and options. For example, we are supposed to lose the lower baby teeth before the upper and the front teeth before the back teeth. If your child is losing teeth in the incorrect order that could later cause greater problems or even damage permanent teeth, then Dr. Cooper may need to intervene with treatment. Also, if your child has a narrow upper arch, they may need expansion to help widen the jaw. If left untreated, that can lead to future crowding and a much more difficult treatment later with braces or Invisalign. Even extractions (the removal of permanent teeth) could be necessary which we would like to avoid. It’s never too late to see an orthodontist to evaluate if treatment is needed. Age 7 is the ideal age for that first visit. However, orthodontics is for everyone at any age. To find out if you could benefit from orthodontics, call Cooper Orthodontics today and schedule your free consultation!